One couple I was with had a particular interest in recent archaeological discoveries connected with the Biblical Era. When they made this request, I knew that I just had to bring them to visit Khirbet Qeiyafa (aka the Elah Valley Fortress). As with all archaeology in Israel, Garfinkel and Ganor’s claims are hotly debated, largely by those who come from the Biblical Minimalist camp — a group of archaeologists and scholars who claim that the Bible is largely mythological, and who suggest alternative datings and explanations for many archaeological sites. 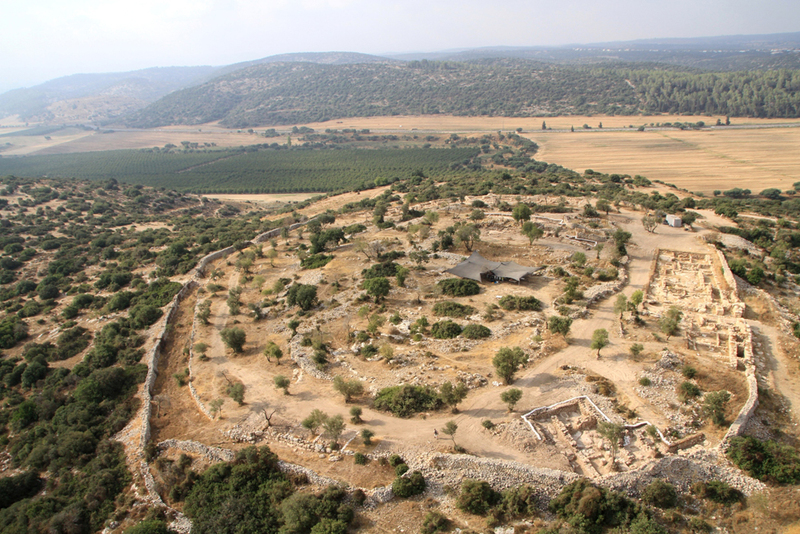 Thus, Qeiyafa is an excellent site to not just understand Garfinkel and Ganor’s position, but also to explore how the process of archaeology works, and to understand the issues that lie at the heart of all archaeology in this country. I had visited the Supreme Court on a number of occasions, but this was my first opportunity to actually guide there, and it was a pleasure. What is so special about guiding in the Supreme Court building is that it offers twin opportunities for discussion. 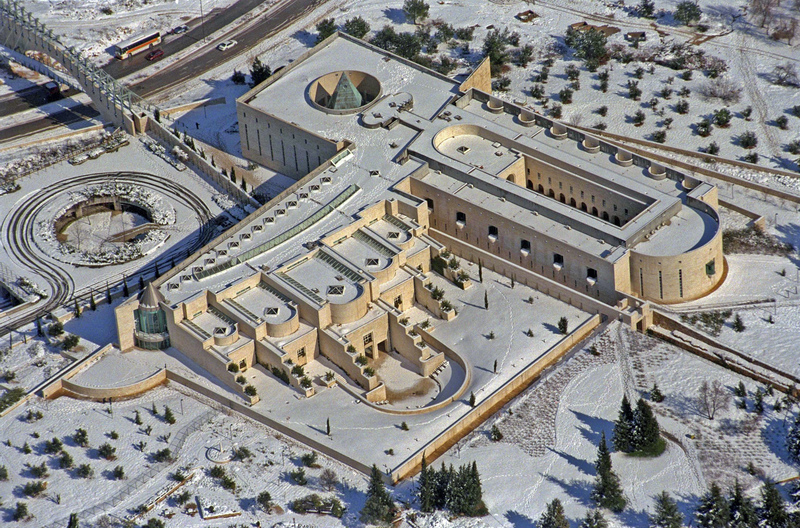 Firstly, the architecture of the magnificent building, inaugurated in 1992 and designed by Israeli brother-sister architects Ram Karmi and Ada Karmi-Melamede, is packed with symbolism. From the materials used, to the shapes of the building sections, and from the layout of the building in its surroundings to the architectural forbears the building segments recall, the disparate pieces work as a beautiful whole the invokes the ideas of justice and of Israeli and Jewish history. But a visit to the Supreme Court also provides a wonderful opportunity to highlight Israel’s justice system. 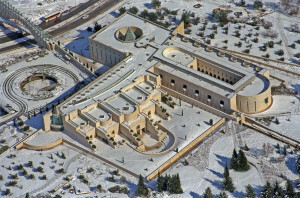 Exploring the unique aspects of Israel’s Supreme Court (such as its role as the High Court of Justice), as well as understanding the differences between Israel’s appeals process from America’s, highlights the value that Israel places on justice for the individual. Though I had guided in Zedekiah’s Cave before, it is one of those sites that I hold in my back pocket for those times when I am in the Old City with people who have visited multiple times. Just outside of the Damascus Gate, cut into the bedrock, a small opening leads to a truly massive cave system that runs for hundreds of meters beneath the Old City itself. Originally used as a quarry, stones from here may have been used to build the Western Wall (though this is debated). Most of the stories connected with Zedekiah’s Cave (alternatively called Solomon’s Quarry) are little more than legends. But they add to the magic of exploring a somewhat unknown cavern beneath the ancient city. And more than that, they also underscore the special aura that Jerusalem has always held in the minds of those who hold it dear. Have you been here many times before? Let me take you somewhere you’ve never visited and show you something new! Contact me to make a request.